This extra large Elephant is 76 cm (30 in) in size. ONLY $7.95 POSTAGE. Wild Republic is one of Paws's favourite brands. All Wild Republic toys are great value for money, you get so much toy for the price! Take a close look and you will learn that all Wild Republic animals are excessively cute. This is a 35cm sitting Rottweiler Plush toy. This is a 18 cm size plush toy with an 80 cm tail. 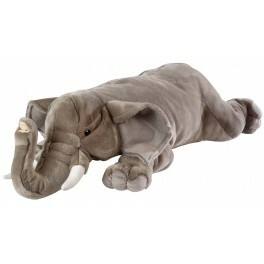 This is a 18 cm size plush toy with an 80 cm tail. . This is a 28cm plush blue Baby Blanket with Teddy Bear Head. Sid is a 36cm plush toy Australian Sea Lion.